The Poplar Grey moth, Acronicta megacephala, is distributed throughout much of the British Isles where there’s aspen, poplar and willow, the caterpillars foodplants. The moth is nocturnal, flying mainly in a single generation between May to August. 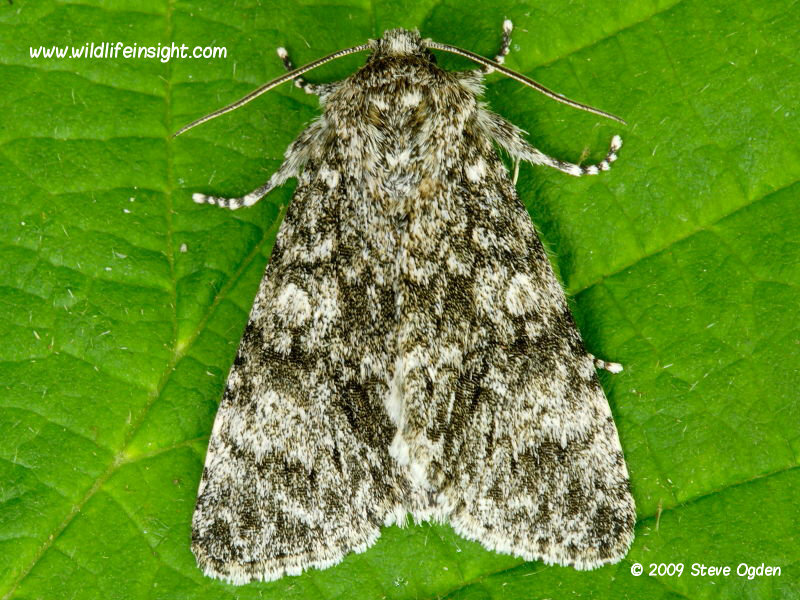 The adult moth has a wingspan of about c 40mm and is attracted to light. 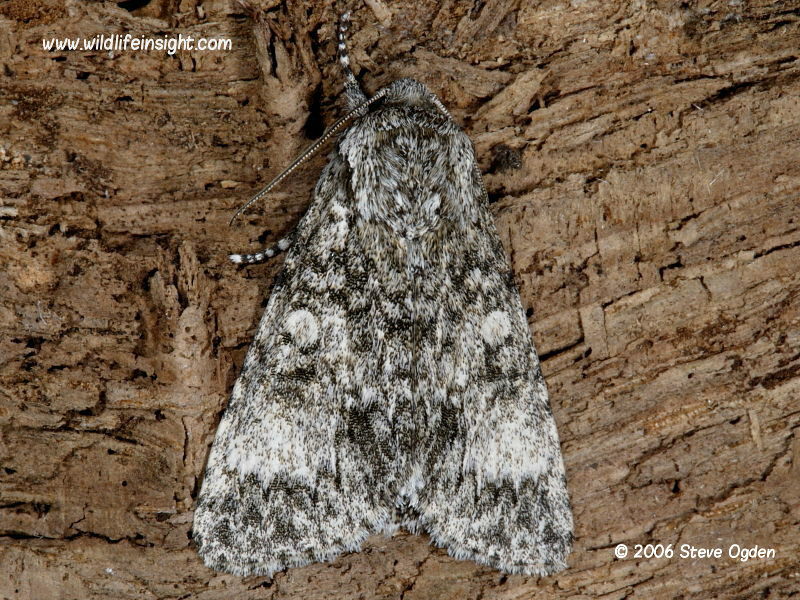 Other common Dagger species include Dark Dagger, Grey Dagger, The Sycamore, The Miller, Alder Moth and The Knot Grass. Poplar Grey caterpillars grow up to 35mm in length and may vary from shades of grey to yellowy brown. The white dorsal patch on the 10th segment is a useful identification feature. 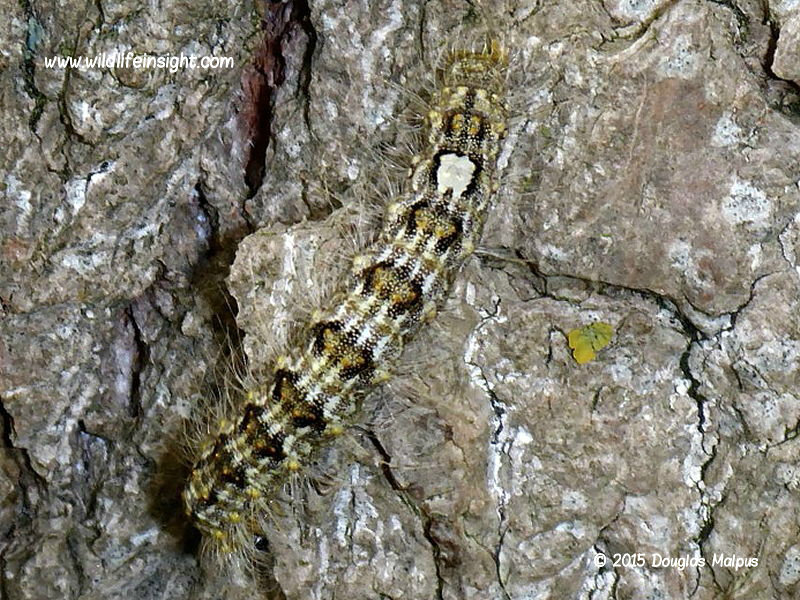 By late September most caterpillars have pupated beneath the bark of trees to overwinter.